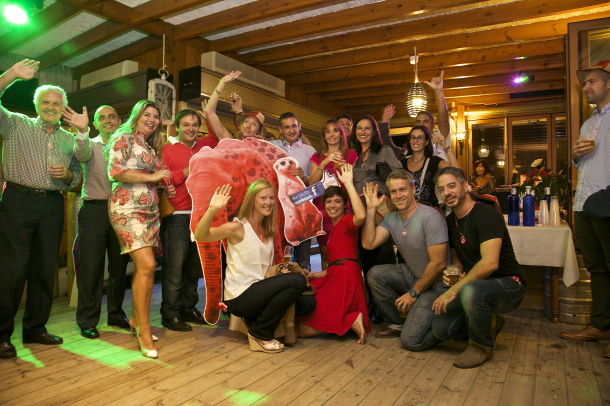 Redline Throws Party to Say ‘Thank You’ for 10 Years of Support | Marbella Marbella – Adelante! 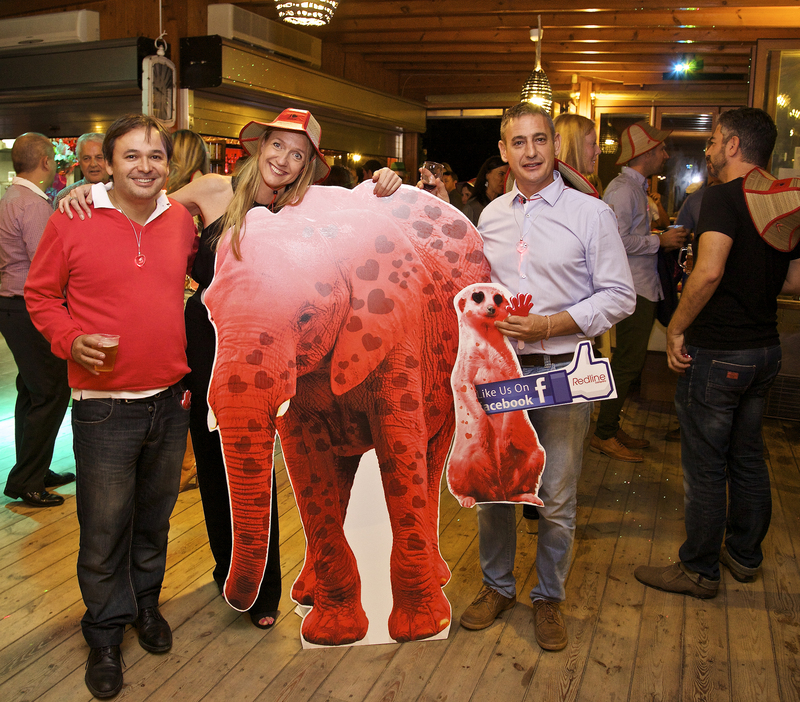 On Friday 17th October, Redline Company celebrated 10 years as the Costa del Sol’s favourite external marketing department by throwing a party at La Dolce Vita chiringito in Marbella to thank clients, suppliers and the press for their support. 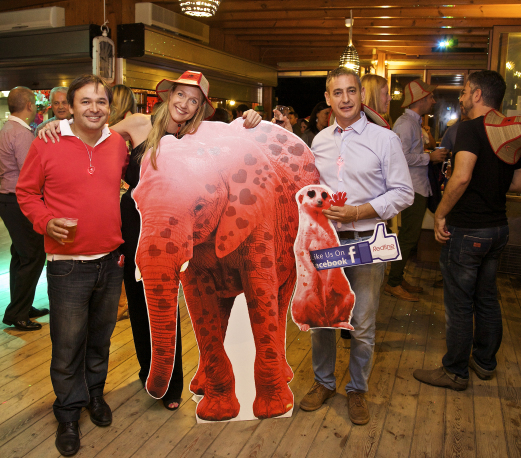 Using the slogan from their marketing packages – ‘it’s a jungle out there’ – as the theme, guests were greeted by a menagerie of Redline’s animal mascots and given a tropical hat, then directed towards a free bar, a vast selection of tasty tapas and an incredible 3-tier birthday cake. It was great turnout with guests mingling amongst the bubbly, beer and nibbles, as congratulations were offered to Redline’s founder Line Lyster, who was instrumental in building an international team with a reputation for providing creative professional marketing campaigns. 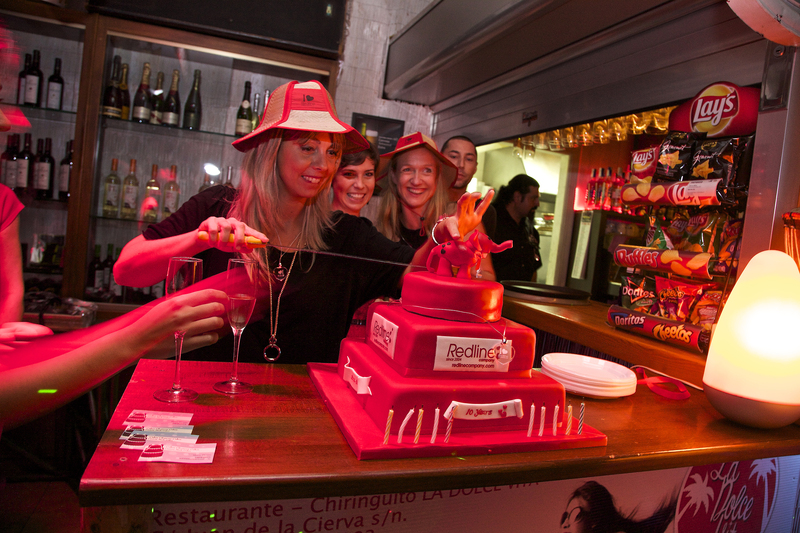 Redline is also known for its love of a good party, which is why Italian chiringito La Dolce Vita was a great choice of venue for a relaxed, friendly get together. Decked out in red and white balloons with everyone wearing glow in the dark necklace with a big red heart, Redline’s style was reflected perfectly. If you would like more information about Redline and the company’s unique system of marketing packages visit www.redlinecompany.com.